It’s that time of year again, it’s time for me to humiliate my face. 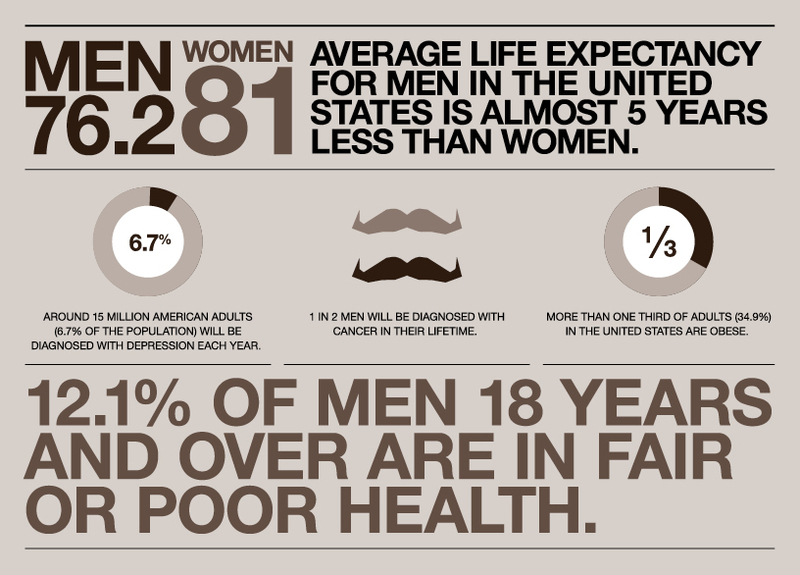 During Movember, men stop shaving their upper lips to draw attention to men’s health issues. This’ll be my third year in a row participating in Movember. Last year, I got more involved by doing some fund raising, and with the help of readers, friends, family and co-workers we managed to make a $500 contribution. If you visit my Movember page and make a contribution, then I’ll match dollar-for-dollar up to $500. I’d really like to double last year’s donation, which seems like a reasonable goal. Start off the 1st of the month with a clean shaven face. For the duration of Movember you must grow and groom a mustache. Don’t fake it! No beards or goatees allowed. Use the power of the mustache to create conversations and raise funds for men’s health issues (prostate cancer, testicular cancer and mental health). Because I need as much of an advantage as I can muster, this Saturday morning, the second the clock hits 12:00:00 AM, I’ll be shaving my entire face for the last time. Like in past years, I’ll take a photo every day of my “progress” and share those photos at least weekly. If you want to make a donation, please visit my Movember page and make any size of contribution. At the end of the month, I’ll match up to $500. If you’re Mo-tivated, go sign up on Movember.com and leave a comment with your own Movember page’s address. I’ll update the blog with everybody’s Movember and we can see if you can put my moustache to shame. Just remember to follow the rules. As I mentioned above, I shaved at midnight on November 1st in order to guarantee the maximum amount of growing time during Movember as possible. I like to hope that this will make a difference by the end of the month, but do I actually expect for it to matter? Not really. Please, feel free to have a laugh at my expense but also consider contributing a few bucks on my Movember donation page for the entertainment I’ve provided! I’ve been posting daily updates to my Twitter, Google+ and Facebook pages and I’ve already run out of synonyms to describe the slow rate of growth. Now that week one is in the books, there’s definitely some semblance of a mustache on my upper lip. Hopefully as the month progresses we’ll see some more substantial gains but somehow I’m dubious! However, I did learn one thing; wearing white shirts seems to make the mustache “pop” off the photo a bit better aided by the contrast of a white shirt and my pasty white skin. On the last day of week two, I am pretty impressed with my progress so far. Week three began on a horribly long work day, a late night Friday software-release extended well into the wee hours of Saturday (4AM) and then dominated the beginning of the day. But, as I pouted in front of my keyboard wondering how things had gone so far off track, I noticed something annoying! My protruding lower lip was being tickled and annoyed by my mustache! There wasn’t much joy to be had in this working weekend day, but I was pretty excited that my mustache had grown enough to be an annoyance to more people than just my darling wife! I took a late afternoon shower, put on one of my paint-stained shirts from working in the garage and made my first week three entry in my Movember blog! Week four began with a parking-lot championship celebration for my softball team. I got several “compliments” on my mustache from my teammates’ and their families. Including one impish boy who said that “You look ridiculous!” He pretty much hit that nail square on the head. All things considered, I’m pretty pleased with the progress when comparing day #22’s photograph from 2013 with this year’s day #22 it sure seems like I’m a bit hairier this time around. Much to Julia’s chagrin I’m beginning to consider keeping the mustache for the near future to see if I can finally get this thing across the finish line. And perhaps maybe even grow some other facial hair to keep it company? My apologies this week for the rash of recurring Star Wars t-shirts, it’s a result of the excitement around the Star Wars: Episode VII teaser trailer. These shirts got worn and washed a couple times during the days around Thanksgiving. As the month of November drew to a close, I got to spend Thanksgiving in the warm embrace of loved ones mocking my mustache, which is exactly one of the things I was thankful for. With all the good-natured grief I dispense it’s healthy to receive my fair share in return. Their mockery notwithstanding, I’m pretty proud of this year’s Movember efforts, we managed to raise $280.00 for men’s health issues and my upper lip is fuzzy enough that I’m going to further my embarrassment by keeping the mustache and matching it with some other additional facial hair.